2019 Toyota Tacoma TRD Offroad Silver Sky 120V/400W Deck Mounted AC Power, 6 Speakers, Air Conditioning, AM/FM radio: SiriusXM, Auto High-beam Headlights, Auto-Dimming Inside Rear-View Mirror w/Compass, Auto-dimming Rear-View mirror, Black Overfenders, Brake assist, Bumpers: body-color, CD player, Compass, Distance pacing cruise control: Dynamic Radar Cruise Control, Driver door bin, Electronic Stability Control, Entune App Suite, Exterior Parking Camera Rear, Fabric Seat Trim (FD), Front Bucket Seats, Front Center Armrest, Front fog lights, Front reading lights, Illuminated entry, Leather Shift Knob, LED Daytime Running Lamps, Navigation System, Outside temperature display, Overhead console, Panic alarm, Power door mirrors, Power steering, Power windows, Radio: Entune Premium w/AM/FM/CD/Nav/App Suite, Rear step bumper, Remote keyless entry, Remote Keyless Entry System, Security system, Speed control, Split folding rear seat, Steering wheel mounted audio controls, Tachometer, Telescoping steering wheel, Tilt steering wheel, Trip computer, Turn signal indicator mirrors, Wide Angle Front Fog Lamps. Included Features: 120V/400W Deck Mounted AC Power, 6 Speakers, Air Conditioning, AM/FM radio: SiriusXM, Auto High-beam Headlights, Auto-Dimming Inside Rear-View Mirror w/Compass, Auto-dimming Rear-View mirror, Black Overfenders, Brake assist, Bumpers: body-color, CD player, Compass, Distance pacing cruise control: Dynamic Radar Cruise Control, Driver door bin, Electronic Stability Control, Entune App Suite, Exterior Parking Camera Rear, Fabric Seat Trim (FD), Front Bucket Seats, Front Center Armrest, Front fog lights, Front reading lights, Illuminated entry, Leather Shift Knob, LED Daytime Running Lamps, Navigation System, Outside temperature display, Overhead console, Panic alarm, Power door mirrors, Power steering, Power windows, Radio: Entune Premium w/AM/FM/CD/Nav/App Suite, Rear step bumper, Remote keyless entry, Remote Keyless Entry System, Security system, Speed control, Split folding rear seat, Steering wheel mounted audio controls, Tachometer, Telescoping steering wheel, Tilt steering wheel, Trip computer, Turn signal indicator mirrors, Wide Angle Front Fog Lamps, ABS brakes, Anti-whiplash front head restraints, Axle Ratio: 3.91, Dual front impact airbags, Dual front side impact airbags, Engine Immobilizer, Front anti-roll bar, Front wheel independent suspension, Knee airbag, Low tire pressure warning, Occupant sensing airbag, Overhead airbag, Passenger door bin, Power Sliding Rear Window w/Privacy Glass, Smart Key w/Push Button Start, Speed-sensing steering, Traction control, Variable Intermittent Wipers, Variably intermittent wipers, and Wheels: 16" x 7" Machined Contrast Alloy. 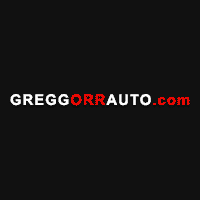 As We Expect "Great Service" To Be Part Of EVERY Deal For FREE, Here Are A Couple Of Additional Things You Get From Us: All Of Our Pre-Owned Are Required To Pass A 155 Point Inspection Process That Includes The Engine, Transmission, Braking, Steering, Suspension, Air Conditioning, And Electrical Systems Just To Name A Few! Once The Inspection Process Is Complete, We Go To Work Correcting Any Outstanding Issues. Then, We Spend The Long Dollar To Ensure That You Will Not Have To Worry About Anything On Your New 3 Series For The Foreseeable Future! Once They Are Completed In The Service Department, We Spend Up To $250 Dollars On A Professional Detail That Guarantees Your Vehicle Delivery Day Will Be Something Special! At the time of delivery, you can expect the same level of commitment that you have seen through the prior steps! We will deliver your Tacoma TRD Offroad to you, full of gas, with all of the documentation that you need to be able to drive your vehicle worry free! 2019 Toyota Tacoma TRD Offroad Magnetic Gray 120V/400W Deck Mounted AC Power, 6 Speakers, ABS brakes, Air Conditioning, AM/FM radio: SiriusXM, Anti-whiplash front head restraints, Auto High-beam Headlights, Auto-Dimming Inside Rear-View Mirror w/Compass, Auto-dimming Rear-View mirror, Black Overfenders, Brake assist, Bumpers: body-color, CD player, Compass, Distance pacing cruise control: Dynamic Radar Cruise Control, Driver door bin, Dual front impact airbags, Dual front side impact airbags, Electronic Stability Control, Engine Immobilizer, Entune App Suite, Exterior Parking Camera Rear, Fabric Seat Trim (FD), Front anti-roll bar, Front Bucket Seats, Front Center Armrest, Front fog lights, Front reading lights, Illuminated entry, Leather Shift Knob, LED Daytime Running Lamps, Navigation System, Outside temperature display, Overhead console, Panic alarm, Power door mirrors, Power steering, Power windows, Radio: Entune Premium w/AM/FM/CD/Nav/App Suite, Rear step bumper, Remote keyless entry, Remote Keyless Entry System, Security system, Speed control, Speed-sensing steering, Split folding rear seat, Steering wheel mounted audio controls, Tachometer, Telescoping steering wheel, Tilt steering wheel, Traction control, Trip computer, Turn signal indicator mirrors, Wide Angle Front Fog Lamps. Included Features: 120V/400W Deck Mounted AC Power, 6 Speakers, ABS brakes, Air Conditioning, AM/FM radio: SiriusXM, Anti-whiplash front head restraints, Auto High-beam Headlights, Auto-Dimming Inside Rear-View Mirror w/Compass, Auto-dimming Rear-View mirror, Black Overfenders, Brake assist, Bumpers: body-color, CD player, Compass, Distance pacing cruise control: Dynamic Radar Cruise Control, Driver door bin, Dual front impact airbags, Dual front side impact airbags, Electronic Stability Control, Engine Immobilizer, Entune App Suite, Exterior Parking Camera Rear, Fabric Seat Trim (FD), Front anti-roll bar, Front Bucket Seats, Front Center Armrest, Front fog lights, Front reading lights, Illuminated entry, Leather Shift Knob, LED Daytime Running Lamps, Navigation System, Outside temperature display, Overhead console, Panic alarm, Power door mirrors, Power steering, Power windows, Radio: Entune Premium w/AM/FM/CD/Nav/App Suite, Rear step bumper, Remote keyless entry, Remote Keyless Entry System, Security system, Speed control, Speed-sensing steering, Split folding rear seat, Steering wheel mounted audio controls, Tachometer, Telescoping steering wheel, Tilt steering wheel, Traction control, Trip computer, Turn signal indicator mirrors, Wide Angle Front Fog Lamps, Axle Ratio: 3.91, Front wheel independent suspension, Knee airbag, Low tire pressure warning, Occupant sensing airbag, Overhead airbag, Passenger door bin, Power Sliding Rear Window w/Privacy Glass, Smart Key w/Push Button Start, Variable Intermittent Wipers, Variably intermittent wipers, and Wheels: 16" x 7" Machined Contrast Alloy. As We Expect "Great Service" To Be Part Of EVERY Deal For FREE, Here Are A Couple Of Additional Things You Get From Us: All Of Our Pre-Owned Are Required To Pass A 155 Point Inspection Process That Includes The Engine, Transmission, Braking, Steering, Suspension, Air Conditioning, And Electrical Systems Just To Name A Few! Once The Inspection Process Is Complete, We Go To Work Correcting Any Outstanding Issues. Then, We Spend The Long Dollar To Ensure That You Will Not Have To Worry About Anything On Your New 3 Series For The Foreseeable Future! Once They Are Completed In The Service Department, We Spend Up To $250 Dollars On A Professional Detail That Guarantees Your Vehicle Delivery Day Will Be Something Special! At the time of delivery, you can expect the same level of commitment that you have seen through the prior steps! We will deliver your Tacoma TRD Offroad to you, full of gas, with all of the documentation that you need to be able to drive your vehicle worry free! 2019 Toyota Tacoma TRD Offroad Silver Sky Included Features: 120V/400W Deck Mounted AC Power, 6 Speakers, ABS brakes, Air Conditioning, AM/FM radio: SiriusXM, Anti-whiplash front head restraints, Auto High-beam Headlights, Auto-Dimming Inside Rear-View Mirror w/Compass, Auto-dimming Rear-View mirror, Axle Ratio: 3.91, Black Overfenders, Brake assist, Bumpers: body-color, CD player, Compass, Distance pacing cruise control: Dynamic Radar Cruise Control, Driver door bin, Dual front impact airbags, Dual front side impact airbags, Electronic Stability Control, Engine Immobilizer, Exterior Parking Camera Rear, Fabric Seat Trim (FD), Front anti-roll bar, Front Bucket Seats, Front Center Armrest, Front fog lights, Front reading lights, Front wheel independent suspension, Illuminated entry, Knee airbag, Leather Shift Knob, LED Daytime Running Lamps, Low tire pressure warning, Navigation System, Occupant sensing airbag, Outside temperature display, Overhead airbag, Overhead console, Panic alarm, Passenger door bin, Power door mirrors, Power Sliding Rear Window w/Privacy Glass, Power steering, Power windows, Radio: Entune Premium w/AM/FM/CD/Nav/App Suite, Rear step bumper, Remote keyless entry, Remote Keyless Entry System, Security system, Smart Key w/Push Button Start, Speed control, Speed-sensing steering, Split folding rear seat, Steering wheel mounted audio controls, Tachometer, Telescoping steering wheel, Tilt steering wheel, Traction control, Trip computer, Turn signal indicator mirrors, Variable Intermittent Wipers, Variably intermittent wipers, Wheels: 16" x 7" Machined Contrast Alloy, and Wide Angle Front Fog Lamps. As We Expect "Great Service" To Be Part Of EVERY Deal For FREE, Here Are A Couple Of Additional Things You Get From Us: All Of Our Pre-Owned Are Required To Pass A 155 Point Inspection Process That Includes The Engine, Transmission, Braking, Steering, Suspension, Air Conditioning, And Electrical Systems Just To Name A Few! Once The Inspection Process Is Complete, We Go To Work Correcting Any Outstanding Issues. Then, We Spend The Long Dollar To Ensure That You Will Not Have To Worry About Anything On Your New 3 Series For The Foreseeable Future! Once They Are Completed In The Service Department, We Spend Up To $250 Dollars On A Professional Detail That Guarantees Your Vehicle Delivery Day Will Be Something Special! At the time of delivery, you can expect the same level of commitment that you have seen through the prior steps! We will deliver your Tacoma TRD Offroad to you, full of gas, with all of the documentation that you need to be able to drive your vehicle worry free!